Southampton Montessori School is a private pre-school and kindergarten. 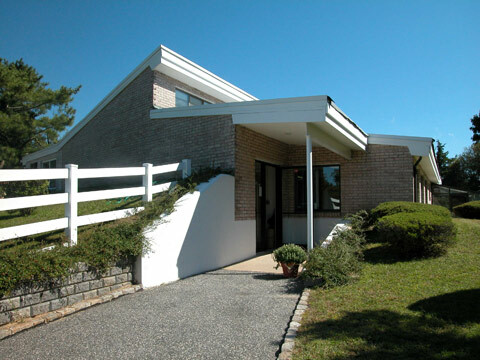 It is an affiliate of the American Montessori Society and chartered by the New York State Department of Education. 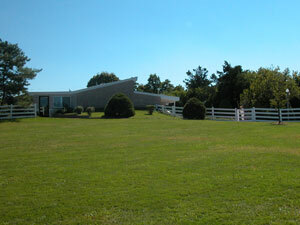 The school is located just outside of Southampton Village on approximately four acres nestled in beautiful Shinnecock Hills overlooking one of Southampton’s finest golf courses. The school building is contemporary in design and takes full advantage of both the sunlight and the view. It houses four classrooms including a greenhouse and a gymnasium for special classes in movement, music, art, and foreign language. An observation room is open to parents and visitors daily. 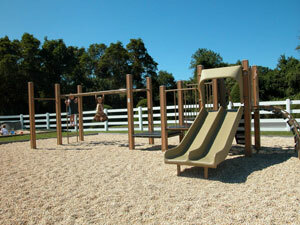 There is a secluded student garden area and a closed-in courtyard for outdoor learning. 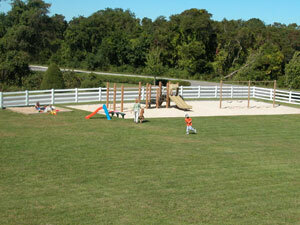 The playground offers many recreational amenities and an onsite nature walk is available to students for environmental studies. The young child is innately motivated to learn. He seeks to understand the order in his environment through exploration. 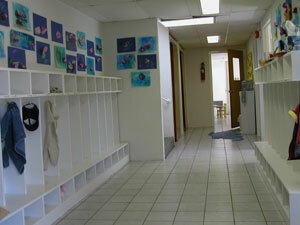 The Montessori classroom is attractively designed and appeals to the 3 to 6 year old. The child learns by working with a rich variety of manipulative materials. The three year curriculum includes practical life, sensorial, language, history, science, art, music, and movement. Children are free to focus on a chosen activity uninterrupted which builds concentration. They are shown how to complete a task in an organized manner and utilize problem solving skills. The Montessori materials present one concept at a time in a sequential manner, thus increasing the child’s chance for successful completion and encouraging confidence and concentration. The child gains a sense of peaceful satisfaction from his or her accomplishments. The emotional and social development of the child is an important part of our program. We seek to create a warm, loving, respectful atmosphere. Emphasis is placed on helping children express feelings in constructive ways and develop social skills and a sense of responsibility for their own behavior within the school community. A philosophy of “freedom within limits” provides the basic framework for the children’s interaction with the environment and each other. We recognize the need for parents and teachers to work together to serve the best interests of the child. Mutual respect and basic agreement on general educational goals is extremely important. Discussions on the Montessori philosophy and child development are held throughout the year to educate parents in the Montessori method. Parents are invited to observe their child’s class whenever convenient. Our observation room affords privacy and a total view of each classroom area. We’ve found that this experience has been beneficial to parents and visitors in obtaining a better understanding of the Montessori philosophy and our program. Parents are also welcome to visit their child’s class to share their special interests, talents and occupations with the children. Parent-teacher conferences are held twice a year and can be arranged more often when needed. Written reports are prepared upon graduation. Daily observations are made by the teacher in order to follow each child’s initiative and capture his or her interest when introducing appropriate materials. A material is considered appropriate and is most easily mastered when It corresponds to a child’s particular “sensitive period” for learning. 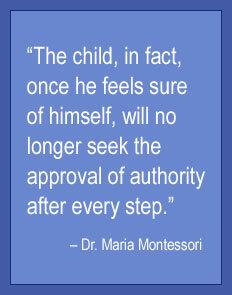 Spontaneity is key to the learning process in a Montessori environment.